Despite the fact that it grew as a program that used the Gnutella network, FrostWire has known how to evolve. After you download FrostWire for free you'll be able to download all kinds of torrent files with the most varied contents. Great download speed, even outstripping LimeWire. Download torrents and use magnet links. 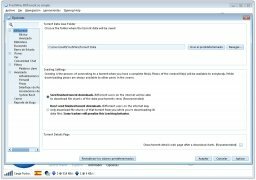 Create torrent files from your files. Compatible with iTunes; synchronize your downloads with the library. Speak with other users via chat. 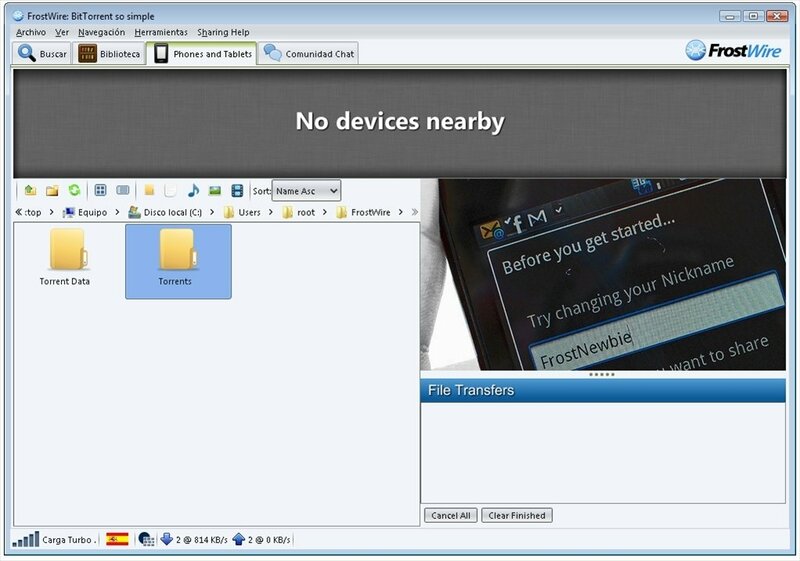 Customize the software by using one of its several skins. 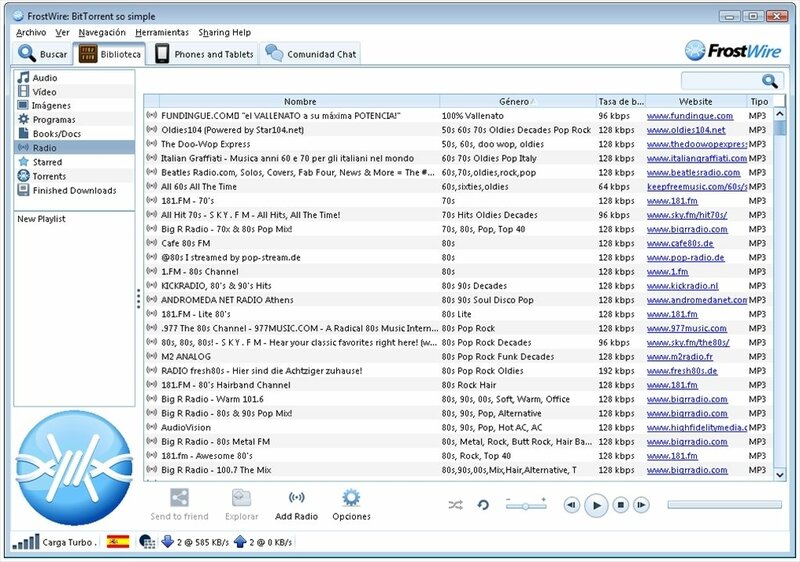 Support for online radio stations. By double clicking you will be able to add them to the download queue, that you'll be able to view in the lower margin of the window, where they will stay until they are completed and added to your library. Thank the Internet gods for FrostWire. 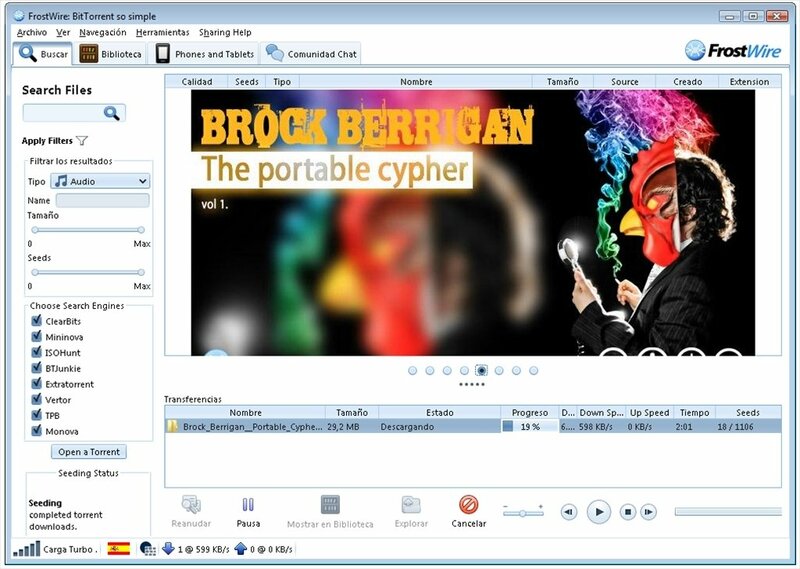 If you need a program to download music, FrostWire is the solution, and the same could be said if you're looking for a program to download movies, documents or programs. Click on download to get FrostWire and make the most of your spare time. This download requires Java 1.6 that will be installed automatically if missing, by means of an Internet connection.